Sony Pictures solidified its slate for 2016 and 2017 by announcing 16 release dates for upcoming films, which include two highly-anticipated genre sequels, Underworld 5 and Resident Evil: The Final Chapter. Underworld 5 will hit theaters on October 21, 2016, going up against Universal Pictures' Ouija 2 and Warner Bros.' Geostorm. Resident Evil: The Final Chapter is slated for release on January 27, 2016, a date which is otherwise unoccupied. Back in May, we reported that Kate Beckinsale is returning to reprise her role as the vampire Selene in Underworld 5. She will star alongside Theo James, who is reprising his role David from 2012's Underworld Awakening. Anna Foerster, who served as second unit director on Roland Emmerich's The Day After Tomorrow and 2012, will make her feature directorial debut, working from a script by Cory Goodman. The story reportedly focuses on younger vampires and werewolves who are entrenched in a violent war between both species. Shooting is set to begin this October in Prague. 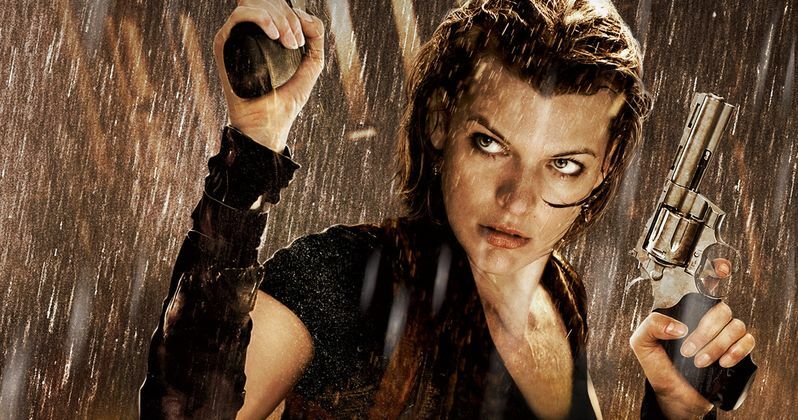 Resident Evil: The Final Chapter was originally supposed to start production last summer, but filming was delayed due to star Milla Jovovich's pregnancy. Milla Jovovich confirmed earlier this year that production will begin this month, and casting is already under way. Earlier this week, Ali Larter signed on to reprise her role as Claire Redfield. Resident Evil: Retribution stars Wentworth Miller (Chris Redfield), Bingbing Li (Ada Wong), Sienna Guillory (Jill Valentine) and Johann Urb (Leon Scott Kennedy) are expected to reprise their roles for this action-thriller based on the hit video game franchise. Paul W.S. Anderson is directing his fourth Resident Evil movie, working from a script he wrote. While this upcoming Resident Evil movie is expected to be the last entry in the franchise, it's uncertain how long the Underworld franchise will keep going for. Underworld doesn't typically perform well at the domestic box office, but the last entry, 2012's Underworld Awakening, took in $160.1 million worldwide from a $70 million budget. Are you looking forward to these sequels hitting theaters in just a few years? Chime in with your thoughts, and stay tuned for more updates on both of these franchises.